If you’re having some trouble figuring out how to activate and deactivate either camera, never fear: we’ve got the answers here! 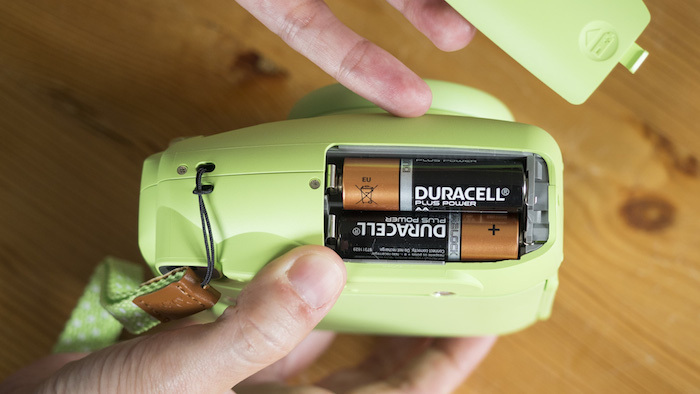 Make sure that your Mini 8 / 9 is loaded with two working AA batteries of the same brand. The less they’ve been used the better! (Ideally they should be brand new.) Rechargeable batteries can work but I’ve heard stories of them not being powerful enough to charge the camera, which can lead to problems such as the film getting stuck while ejecting. Note: If the first pair of batteries you try don’t work for some reason, always try a second brand new pair before assuming the worst! More often than not, it is the batteries that are dead or faulty, not the camera. 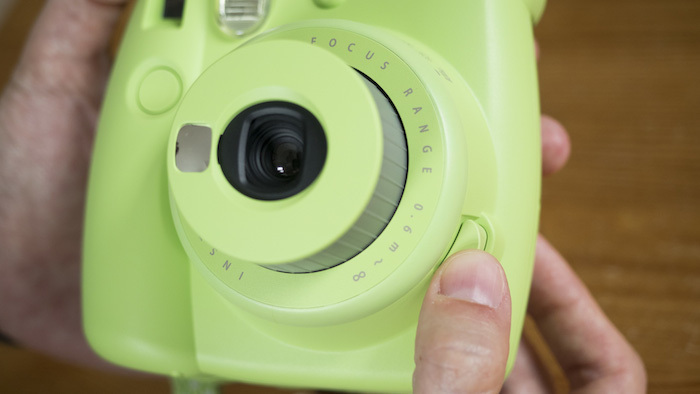 At this stage, you can load the camera with Instax Mini film. I won’t go into this here as it’s a whole other topic but if you’re curious, you can follow our step-by-step instructions here. 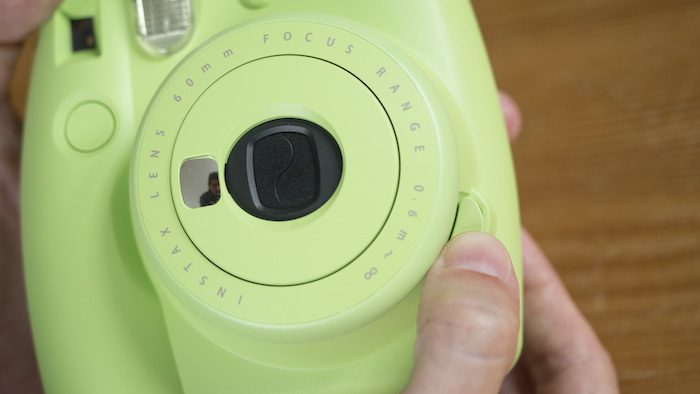 Once the batteries and film are loaded, you are free to turn on the camera. (Finally!) You do this by pressing the large button located directly beside the lens. Doing so will cause the lens to pop out, and you may also hear a faint high-pitched noise come from the camera. When the camera is ready to take a picture, you’ll see one of the brightness settings light up on the brightness adjustment dial. 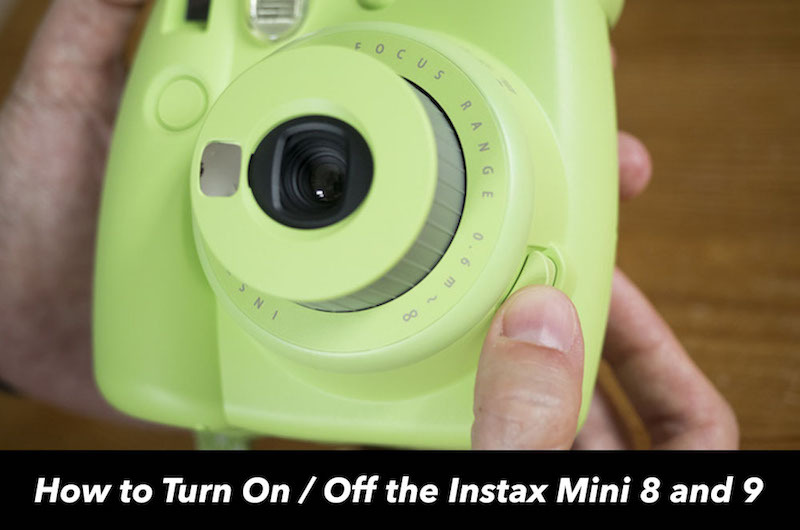 >> Find out how to use the Mini 9 in our full review of the camera! To turn the camera off, don’t bother pressing the button beside the lens again because nothing will happen. Instead, push the lens back into the body with your thumb, making sure to be as gentle as possible. If you don’t plan on using your Mini 8 or Mini 9 camera for a long time, it is also a good idea to remove the batteries from the camera. Leaving them in will cause them to drain more rapidly, which is a bit of a waste! What if you can’t turn the camera on? 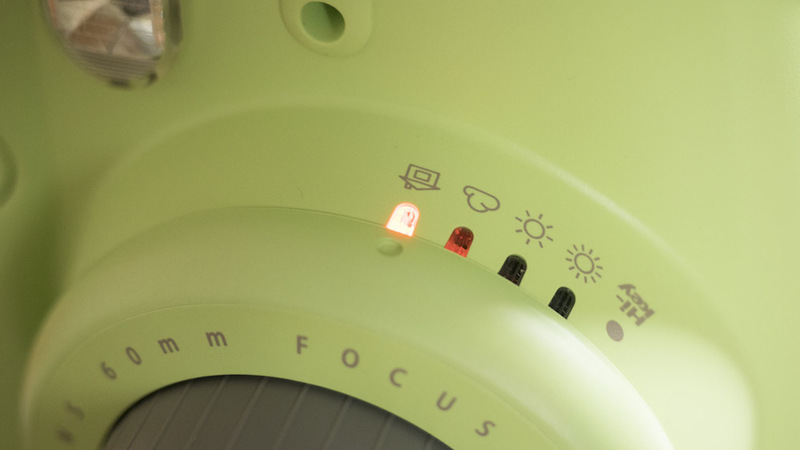 If you press the button and the lens doesn’t budge, or the lens pops out but none of the brightness settings light up, your camera may have a fault. In this case, my advice to most users would be to send it in to Fujifilm for repair.